The ISBLI - ISB Leadership Institute is an initiative of the Islamic Speakers Bureau of Atlanta in collaboration with industry thought leaders and practitioners. ISBLI trains and cultivates civic leaders who create positive and constructive changes within communities and add value in the public square. Vision – ISBLI is the premier leadership development program for cultivating competent and effective civic leaders from within the diverse Muslim and all communities throughout Georgia. Mission – ISBLI seeks to increase and elevate the civic engagement and leadership of Muslims and diverse communities within the public sector. This results in a more vibrant, inclusive, and interconnected civic environment. Values – ISBLI adheres to three core values which underline the leadership development experience. 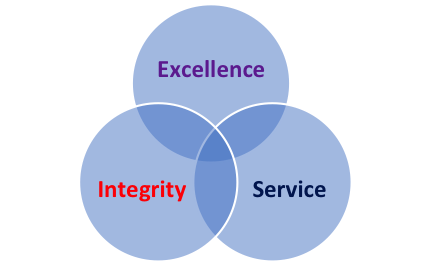 The values are Excellence, Integrity, and Service. EXCELLENCE – We embrace accountability for excellence in planning, effort, and outcomes. INTEGRITY – We adhere to truthfulness, honesty and “walking the talk” of the leader. SERVICE – We put the needs of those we serve above our own personal needs and desires. ISBLI Platform – The ISBLI program stands upon four foundational pillars: Cultivate, Connect, Inspire and Work. Cultivate: ISBLI aims to develop competent, knowledgeable, courageous, and action-oriented leaders who will apply their leadership skills to civic engagement initiatives and organizations throughout the communities in which they live and work. ISBLI participants gain a better understanding of themselves and their roles as community leaders while enhancing their leadership skills. Connect: ISBLI provides an opportunity for talented leaders to connect. Participants will be able to meet and learn from leaders in the business and non-profit sectors, local and state government, and community organizations. Participants will gain a better understanding of how to effectively lead change in their respective spheres of influence. The ISBLI Alumni Network will be a tremendous resource for networking, mentoring, and mobilizing people and resources towards aspirational goals. Inspire: ISBLI develops leaders who apply critical thinking and creativity to solve current issues. ISBLI participants apply their leadership training to create meaningful impact within their respective communities, occupations, and spheres of influence. Work: ISBLI participants will work on group projects that will afford them practical opportunities for them to do “real world application” of the content learned in the program. The projects will reinforce learning, generate teamwork, and benefit civic initiatives. ISBLI is a nine-month program featuring a series of leadership modules developed by thought leaders and practitioners. The time commitment for ISBLI participants is one full Saturday per month for the duration of the program. 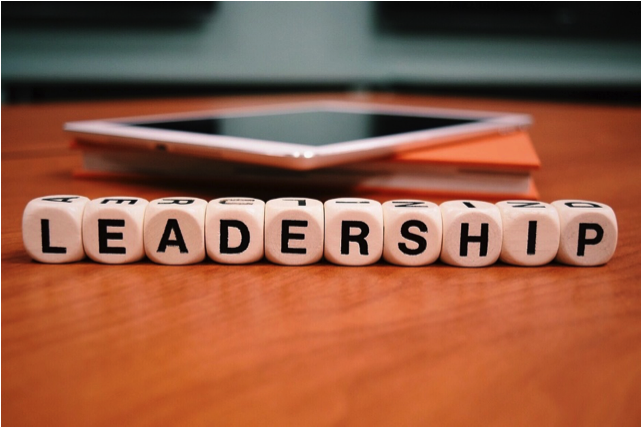 Additional Resources – Guest Speakers: Besides learning from the curriculum, the ISBLI participants learn from guest speakers - subject matter experts - who share their diverse perspectives and experiences on leadership. Participants learn how these subject matter experts practically applied leadership principles and skills in real world scenarios. The guest speaker panels affords participants the opportunity to ask questions and gain additional insights . The ISBLI's holistic approach to leadership training and development maximizes learning, retention, and application of new skills by participants. Applied Learning - Group Projects: As part of the ISBLI curriculum, participants will be organized into various teams to work on select group projects. These projects are selected from proposals from various non-profits and are designed to address specific needs and/or solve key problems. These are "real world" projects that generate beneficial value to the society. 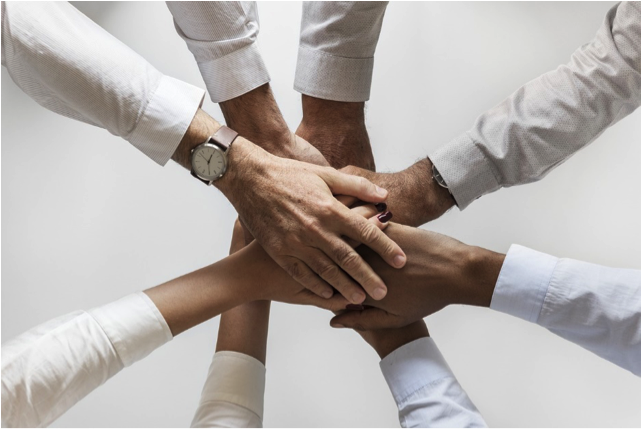 Each ISBLI group project team will be responsible to establish working protocols, deliverable timelines, and facilitate the project from start to finish. Each group will be assigned a group advisor from the ISB Leadership Council and a project sponsor from the sponsoring organization. The teams will provide updates on group projects at each monthly ISBLI session and feedback will be provided. Towards the end of the course, the various groups present their projects to the key project stakeholders as well as the entire ISBLI cohort. To be eligible to apply for the program, participants must be at least 25 years old and must complete the application process. ISBLI candidates should have passion for civic engagement and community service, prior leadership experience, and experience working within groups and organizations. ISBLI implements a standardized candidate screening process which includes interviews of qualified applicants. Limited scholarships are available upon need basis for up to 50% of the fee. Financial necessity will have to be documented and demonstrated. Please contact isbli@isbatlanta.org for details. The attendance requirements for scholarship recipients are the same as that for all program participants. Tuition fees are payable in full one week prior to the commencement of the program. Payment in three installments will be acceptable upon approval by the Program Manager. Zaynab Ansari is an instructor and scholar-in-residence at Tayseer Seminary in Knoxville, Tennessee, an institution that provides formal academic training in Islamic Studies. Ansari teaches several of these classes, and has traveled both nationally and internationally as a public speaker on Islam. She also worked extensively with Qibla for the Islamic Sciences, and has been a contributor to MuslimMatters, SeekersHub, Lamppost Productions and Azizah Magazine. Abdullah Jaber currently serves as a resident scholar for the central Masjid of Atlanta, Al Farooq Masjid of Atlanta and also Masjid Omar bin Abdul Aziz. He is a board member of FAMA (Faith Alliance of Metro Atlanta) and ASHA (Atlanta South Asian Health Alliance). He is also a co-founder of MYLA (Muslim Youth of Los Angeles). Currently, he is focused on building Tibyaan, an Islamic seminary which aims to enrich and empower lives of individuals and communities through faith, education, and activism. Jeremy Solomons is an independent coach, consultant and trainer in Global Leadership, helping current and future leaders to connect with themselves and engage fully with the world. He has extensive professional (and personal) interfaith experience from his first family's Orthodox Judaism to Islam to Buddhism and more recently to Methodism, working closely with the Trinity Church of Austin. Born in Manchester, England, educated at Oxford and now based in Austin, Texas, he has lived in eight countries around the world; he has worked as a full-time banker, educator and journalist for six multinational organizations - including the World Bank and Reuters News Agency; he has been fluent in three languages, apart from his mother-tongue English; he holds two passports; and he has one daughter and one cat. Rita Wuebbeler is President and Founder of INTERGLOBE Cross-Cultural Business Services, Inc., where she helps leaders of global organizations and global virtual teams reach their highest performance potential. Rita teaches Mindful Leadership to leaders who want to be more intentional and less reactive in their leadership approach. Rita is a certified Executive Coach and holds a PCC (Professional Certified Coach) credential from the International Coaching Federation (IFC). She is a Senior Facilitator with Personal Leadership Seminars, a Qualified Administrator for the Intercultural Development Inventory (IDI), and a certified administrator of the DISC Behavioral Profile. Rita regularly presents at international professional conferences on the topics of leadership development, cultural competency building, effective communication and organizational development, as well as in industry-specific areas. Amir Ghannad is an international Keynote Speaker, Author, Leadership Development Specialist and Culture Transformation Catalyst. He is the president and founder of the Ghannad Group, LLC. He guides leaders and equip them with the tools, skills, and the mindset to create extraordinary workplace cultures that deliver breakthrough results, even in the most unfavorable circumstances. With over 3 decades of experience in leadership and organizational development, Amir’s commitment is to transform every workplace into a "showcase of excellence" and a "cradle of prosperity" that produces extraordinary results for all stakeholders and is a source of pride, fulfillment, and inspiration for all team members. His organization provides a variety of services, ranging from speaking to workshops and consulting to empower people at all levels of the organization to discover the Transformative Leader within. He is the author of the book The Transformative Leader. Henna Imam believes our fast-changing world needs each of us to be inspired leaders who make the world better for all. She helps leaders create transformation within themselves and their teams in service of missions that matter. Her company partners globally with Fortune 500 organizations to help leaders create cultures of innovation, engagement and growth. She works with leaders and teams at pivot points, helping them create transformation within and around them. Her book "Wired for Authenticity"​ was named "Leadership Book of the Year 2016" and shares seven practices to inspire, adapt, and lead. Her 20-year corporate career included roles such as Region President in charge of a $600MM P&L, Global CMO of a $2 Billion business, and Head of Digital Innovation. She brings a global mindset, having lived/worked in 7 countries across 4 continents.